Happy St. Pat’s from Bernard and Frank! I took the day off today to take the doggies to their grooming apt (don’t they look handsome? 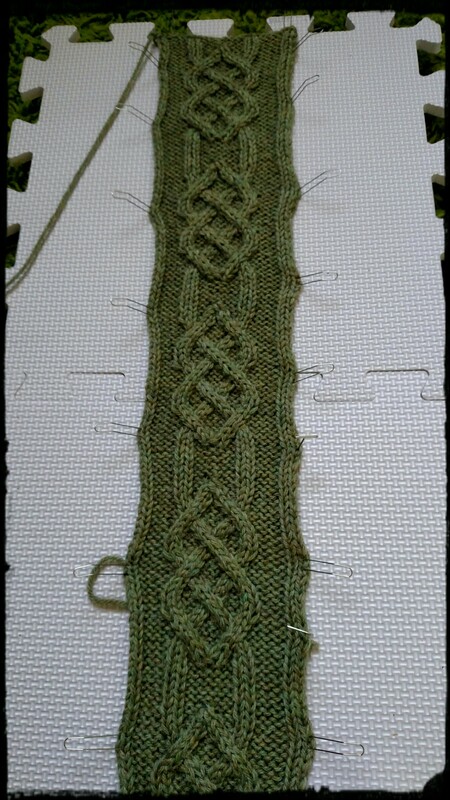 ), finish my taxes – and with any luck – get a start on finishing the Dealla Cardigan by the end of the weekend. The last piece, the neck/edging, got blocked last night but I promised myself I would not start seaming it together until after I completed my taxes. Promise kept (money back – just barely)! I’m not sure how much I’ll get to work on it tomorrow. K and I will be going on our first hike of the season tomorrow and then cooking up burgers at his moms. No complaints there! And you can bet there will be pictures! What have you been doing to celebrate St. Patrick’s Day? Previous Post Sunday Funday – at least for me!